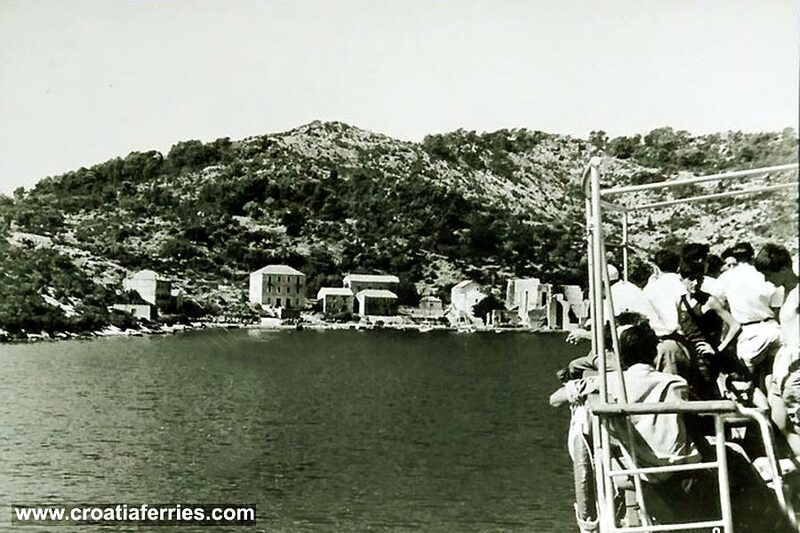 Photo of ferry arriving in Polace ferry port on Mljet Island in late 1950s . At the time that was ferry boat belonging to Jadrolinija, nowadays the 9807 route is run by GV ferry line . See another photo of probably same ferry arriving in Sobra.